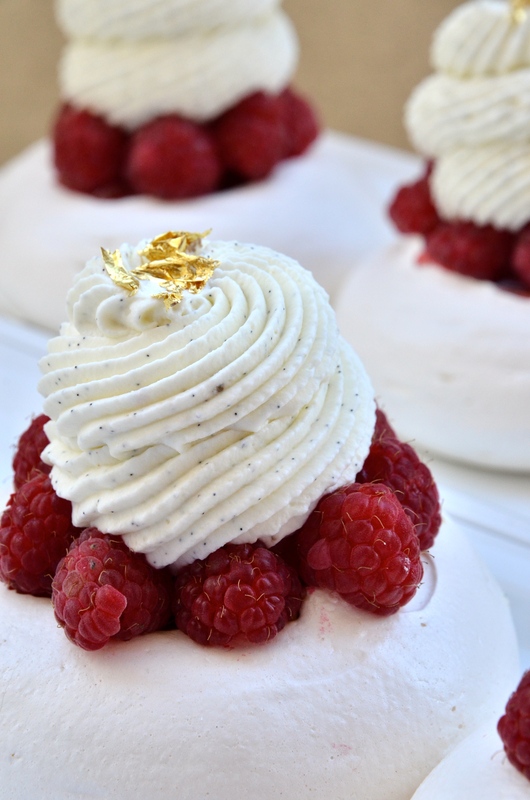 Perhaps the most repeated question in CAP exams for patisserie is the question on ovoproduits. Egg whites, egg yolks and full eggs already seperated in factories and are treated so that there is no trace of harmful bacterias such a salmonella which can be found on egg shells. Indiquer le constituant alimentaire principal des oeufs. Proteines. Calculatate (Calcul): In the exam, the most likely question is that you are to calculate how much ovoproduits you need if you have no eggs. So you need to know the average weight of an egg, it’s yolk and its egg white. La lecthine est un emulsifiant naturel. Definir la fonction de la lécithine. C’est un émulsifiant. Il favorise l’emulsion et permet de donner du volume et de la légèreté aux fabrications. 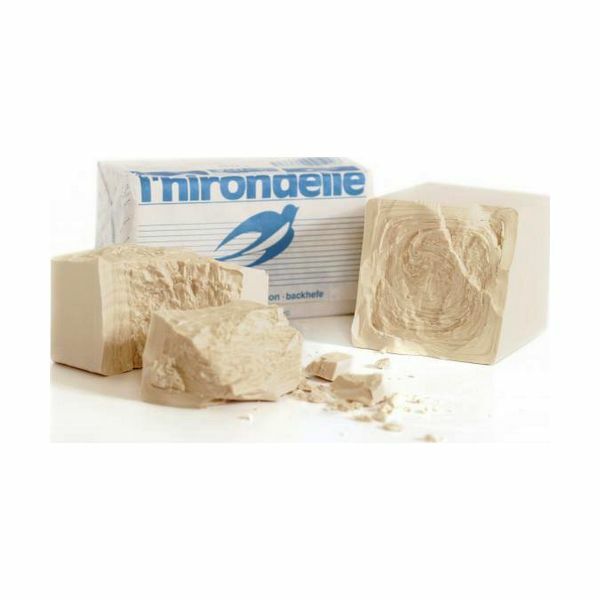 Le blanc (ou Albumine) c’est un protéine qui coagule environ 65C. 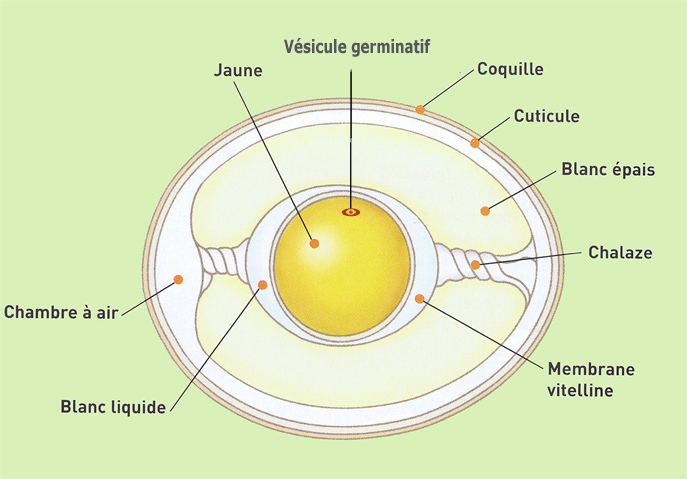 Le contact du blanc d’oeuf avec un acide (vinegre, citron) ou un alcool fait coaguler l’albumine. Le poids 30g. 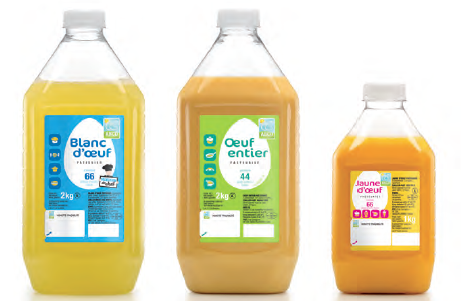 Indiquer l’action de l’alcool et des acides sur les protéines d’un oeuf. Indiquer le propriete physico-chimique de ce constituant (blanc d’oeuf/proteine Albumine) sous l’action de la chaleur. Le jaune (ou Vitellus), c’est un proteine qui coagule environ 70C (dans liquide dilue 80-85C). Le poids est 18-20g. Le Chalaze d’un oeuf, ce sont des filaments qui maintiennent le jaune suspendu a l’interieur du blanc. Le fouettage permet l’incorporation des bulles d’air qui vont entrainer un triplement de volume: c’est le foisonnement. Sous l’effet de la chaleur, l’air se dilate, les olveoles augmenter de volume, le blanc coagule et rigidifie ainsi la structure. – il ne faut pas fouetter trop long temps, une partie de la mousse se transformera en eau. Yeast, levure in French, is a living cell. We can find yeast on the skin of grapes, la peau des raisins. Levure biologique (ou levure de biere) is a Champignon Microscopiques” C’est utile, meaning it’s a useful micro-organism. It’s used in fermentation of beer, cider, wine and bread. In patisserie (ou vienoiserie) we have pâte levée feuilletee (dough rising pastry) to make croissants, pain au chocolate, brioche, danish and pain aux raisins. “Levée” means there’s yeast (levure). Levure biologique (bakers yeast) conserved in refrigeration between 0 – 10 degree celcius (the yeast is not alive or active at this temperature). Levure biologique c’est une fermentation alcoolique. La levure est un micro-organisme utile pour la fermentation de la pâte a brioche. Donner le nom de ce micro-organisme. Levure de bière ou saccharomyces cerevisiae. Preciser le nom de cette fermentation. Citer un exemple de preparation en patisserie necessitant l’emploi de micro-organismes utiles. Indiquer des signes de qualité d’une levure fraiche. * S’emiette entre les doigts sans coller. * Une saveur/gout et une odeur agreables. Pas avoir une saver acide, ni une odeur acetique. * Presente une bonne consistance plastique. * Presente une couleur beige. What is the role of yeast in bread, viennoseries (puff rising pastries)? * Donne la coloration de la croute. Attention: Le sel tue la lever! separe le levure et sel quand vous ajoute les ingredients pour faire pate levee. Sucre, also known as saccharose is an ingredient made up of white crystals that has no odour and is present in plants that contain chlorophylle, like sugar cane (canne à sucre) and beetroot (betterave). Whether it’s sugar cane or beetroot, saccharose is the union of two simple sugars: glucose and fructose. Christophe Adam’s book, CARAMEL is a wonderful study on sugar. We find ourselves going back in history understanding the origins of sugar and its uses. Approximately 7 pages covering the different types of sugars: their historical and geographical origins and their properties. Importantly, for the CAP we learn about the various roles of sugar in patisserie: conservateur, texturant, croquant, colorant, auxiliaire de fermentation et decoration et exhauster de gout (pg.30 Christophe Adam’s, CARAMEL). This is a wonderful informative book on sugar and it’s morphosis into caramel.The glossy pages of to die-for recipes, the photographs alone are enough to start eating the pages out of this superb book. This book is really a sweetener to your studies. Approximately 395-400 pages. Indiquer le constituant alimentaire principal du sucre. Citer 2 modifications organoleptiques subies par le sucre au cours de la caramelisation. Citer des proprietes (rôles) du sucre. Expliquer le rôle du glucose dans le cuisson du sucre. Le glucose a un role anti-cristallisant evitant, il evite que les sucre cuits massent. For your raspberry tart, you coat the raspberries with a clear glaze (nappage blond). List some ingredients found in a nappage blond. Indiquer 2 consequences sur la santé d’une alimentation quotidienne trop riche en glucides. The French already excel at their own creations, and their interpretations of international cuisine is also impressive, especially regarding desserts. They have a way of turning it up a notch without overdoing it. It’s a skill I try to learn from them everyday. The new thing, la mode, with French patissiers I’m noticing is their interpretations on cheesecakes and pavlovas. For example, we know a pavlova to be a messy thrown about blob of large meringue giving it a rustic home made look. And it’s what we love about our pavlovas, however displayed in the window of a French patisserie perhaps is not so visually appealing to the French clientele, messy lines perhaps need to be more clean. This is what I’ve tried to do here by piping rounds (as if you’re making macarons) in invdividual sizes (8cm). It’s not traditional in it’s form but still keeping to the original Pavlova texture, I’ve named this one Pavlova francaise, French Pavlova. Pavlova francaise begins with a meringue base. Now there’s a difference between a French meringue and meringue for the Aussie/Kiwi Pavlova: In French tradition the meringue francaise is hard all the way through (it’s sold by the piece around 1 euro, sometimes there is even a sprinkle of almonds). The Aussie/Kiwi meringue for a pavlova we know to be crunchy on the exterior with a goey soft marshmellowy centre. For this creation, I’ve kept true to the texture of the Aussie/Kiwi meringue and changed only its form to meet what’s more visually expected by the French. I left a ditch/hole in the centre of the meringue so that I can fill it with raspberry jam (confiture). 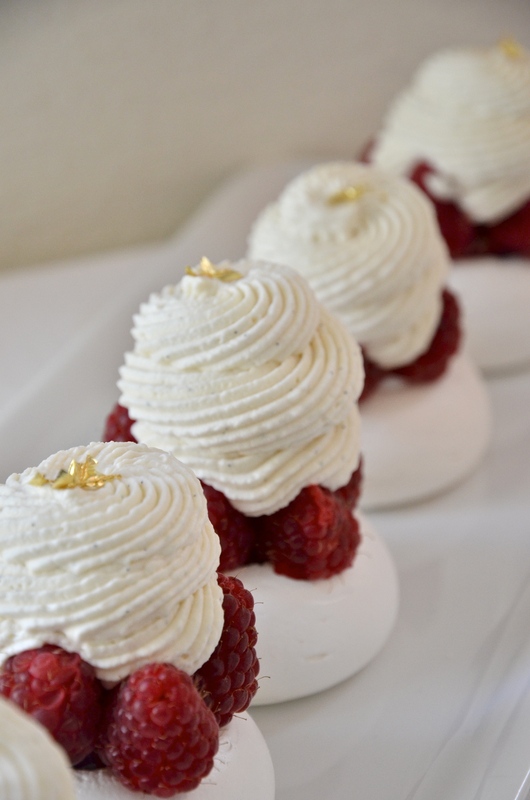 A ring of raspberries (also in the centre) are accompanied by a swirly tower of chantilly made up of 35% fat French cream, mascarpone, icing sugar, vanilla liquid extract and grains of vanilla pod. A gold leaf for that little touch of old French royality (I live not far from Chateau Versailles and all that gold is very inspiring). This is really a wonderful marriage of an Australian recipe with French technique and visual. Super light and full flavoured makes it perfect to enjoy any time of the day.